Schedules are posted here on the website, but follow us on Twitter, @LNHS_Athletics, to get the most up-to-date information of games. With the weather being as crazy as ever, there will be changes! Registration must be completed before an athlete can tryout!! Click here to Register for the 18-19 athletic year. Download the GoFan App and search Lake Norman High School to purchase your season passes today! Live Streaming Fall Sports on the NFHS Network!! Fall Sports are approaching at The Lake! We are also Live Streaming all of our home Football, Volleyball and Men's Soccer games on the NFHS Network. Click Here to Subscribe to the NFHS Network and start watching @ The Lake. 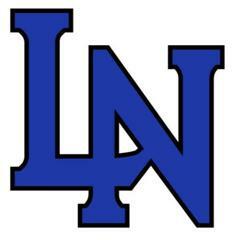 Follow us on Twitter @LNHS_Athletics for all updates, scores and other information. Since opening in 2002, Lake Norman Athletics has become a force to be reckoned with in the 4A Classification of the the Charlotte-Metro Area. Lake Norman is a member of the IMECK Conference starting in the fall of 2017. The Lake has had success in all of it's athletic programs. As well as a total of 101 Conference Championships in every sport offered. Part of Lake Norman's success has been the continuous development of our sports programs from our coaching staffs. 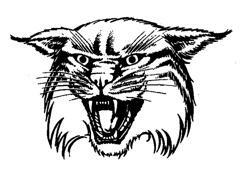 Coach Oliphant is the newest member of our staff and will lead the Wildcat football program into the 2018 season. Coach Jolly led our Men's Basketball team to a state championship in 2010 and were runners up in the state in 2014. Coach Brugger and Coach Schiemer have built very successful Men's and Women's Lacrosse programs that have included state championships in both as well as runners up in both in 2016. Coach Wigginton led the Baseball team to a Conference Championship in 2016 and 2017 and our Men's and Women's Soccer programs have been hugely successful programs since the school opened bringing in a total of 16 Conference Championships. Coach Pavia has built a very successful Wrestling program that competes every year with the top progams in North Carolina, as well as the surround states. The Volleyball, Softball, Men's and Women's Golf and Tennis teams, Swimming and Diving, Cross Country and Track and Field have all had success in the short time that Lake Norman has been open and will continue to grow and move forward to better competition. ATTENTION!!! ALL student-athletes must have a completed physical to participate in any summer workouts/conditioning at the school. If you do not have one on file, please use the link below to print one off and complete.